Peter Neusser knows exactly how much distance he covers in a single step – 90cm. He can replicate the distance nearly exactly if he’s walking at a certain pace and it’s important he does so when it comes to creating one of his Multiples. These extraordinary photographs are actually several images – anywhere up to 200 – layered one on top of the other. 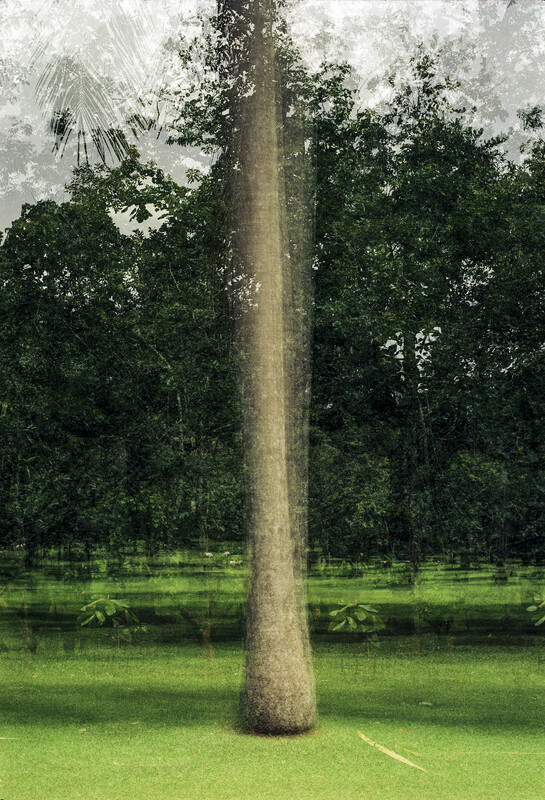 To create one, Peter will walk around his chosen object, using his analog camera to enable multiple exposures from different angles on a single sheet of film. Taking it into the studio to develop is a roll of the dice – sometimes there’s nothing to salvage, the picture is completely unusable. Then there are the times it works – when the photograph becomes indistinguishable from a painting. They’re more than the clever manipulation of light it takes to create them. Something about the way edges blur and solid forms waver conveys the passing of time, and if you were feeling fanciful, a sense of seeing almost the spiritual essence of a thing. They can be extraordinarily complex as when he captures the blaze of city’s life by night or poetic and meditative when he turns his camera on forests and bodies of water. In one instance the Multiples made for clever tools for the documenter as Peter followed the transformation of the Theresienhöhe in Munich as it went from trade-fair premises to a housing, office and museum area. By taking image after image through several stages of the building process, Peter produced a single photograph that captured the process in its entirety. Speaking over a Skype call from his home in Germany, Peter tells me he visited Sri Lanka in 2001 and then again in 2002. At the time he had only just begun experimenting with Multiples. He had embraced the technique in 1999 while on an artists’ retreat in South Western France. Living in a rustic home near the Atlantic Ocean, he turned his mind to how to best capture the stormy sea at his doorstep. Rough weather turned the water to tumult and to photograph it Peter considered doing a long exposure and then dismissed it as having been done before. Settling on the multiples he produced images that were so distorted the stretch of water looked instead like wind-tossed grass but still retained the force and energy of the churning water. 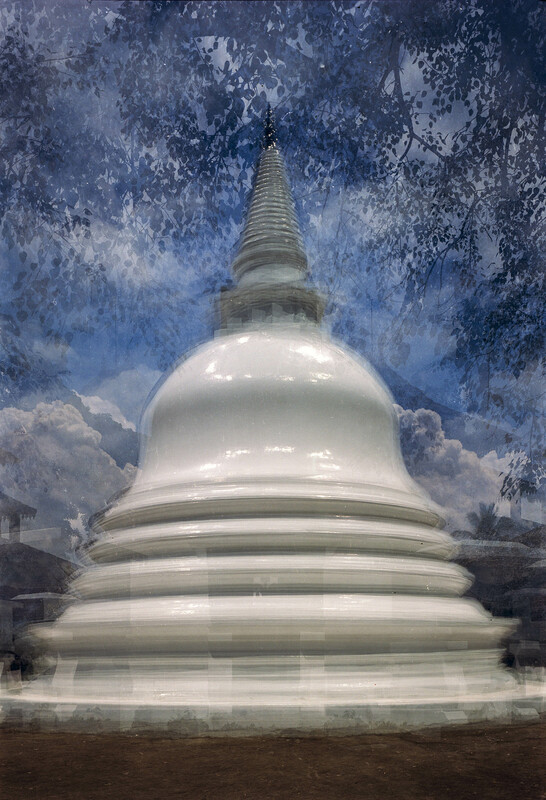 Two years later, when Peter arrived in Sri Lanka, he had begun to feel more confident in the technique and would apply it with great effect to buildings and landscapes he saw here. Published in The Sunday Times, Sri Lanka on October 13, 2013. Words by Smriti Daniel. Pix courtesy Peter Neusser.